Optometrist, Scott Carlson, O.D. of Northwest Indiana Eye & Laser Center, P.C. earned his Doctorate of Optometry degree in 2002 at Indiana University School of Optometry in Bloomington, Indiana. Dr. Carlson provides comprehensive family eyecare including prescribing eyeglasses and contact lenses. In addition to practicing primary eyecare, Dr. Carlson has special interest in the treatment and management of ocular disease. He enjoys seeing patients of all ages. 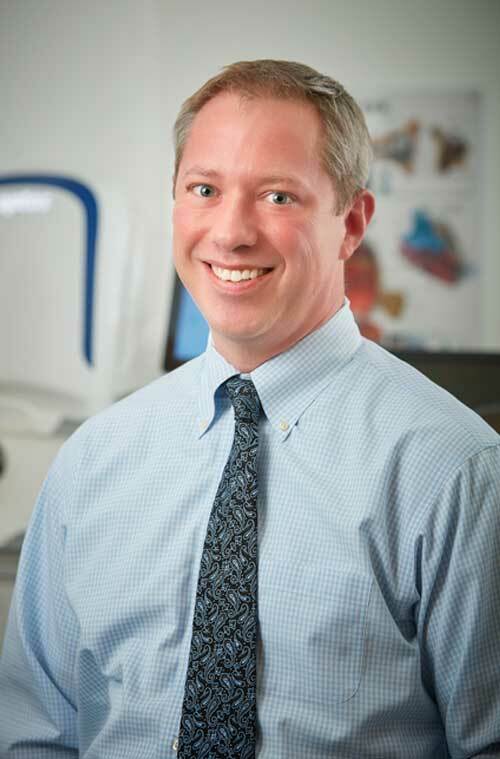 Dr. Carlson is a member of the American Optometric Association, the Indiana Optometric Association, and the Northwest Indiana Optometric Society where he previously served as President. He has been recognized for his work with contact lenses and has been published in the Journal of Optometry and Vision Science. Dr. Carlson is an active member of the Valparaiso Kiwanis Club and serves on the Board of Directors at Porter Starke Services. He lives in Valparaiso with his wife and two daughters.